Sabu Island, a small island in Indonesia, recently saw a mass beaching of pilot whales this last Monday night. 46 whales in total washed ashore and all but three ended up dead, despite people’s best efforts to get them back into the water. They washed up in the middle of the night and were found by some local fishermen. But by the time these fishermen found them, they had already been there for some time and there were not enough people present to mount a full-scale rescue effort. The struggle to help them return to their natural habitat lasted into Tuesday evening, by which time all but three had died. The main problem with helping them was that the whales simply refused to stay in the water. Every time rescuers managed to get one back into the ocean, it would return to the shore and beach again. Scientists are not completely sure why they displayed such behavior, but there are several theories. Some think that the group was following their leader, who happened to be sick and beach himself. This sort of behavior has been seen before, where a leader beaches and the rest of the group follows suit, heedless of their own safety. 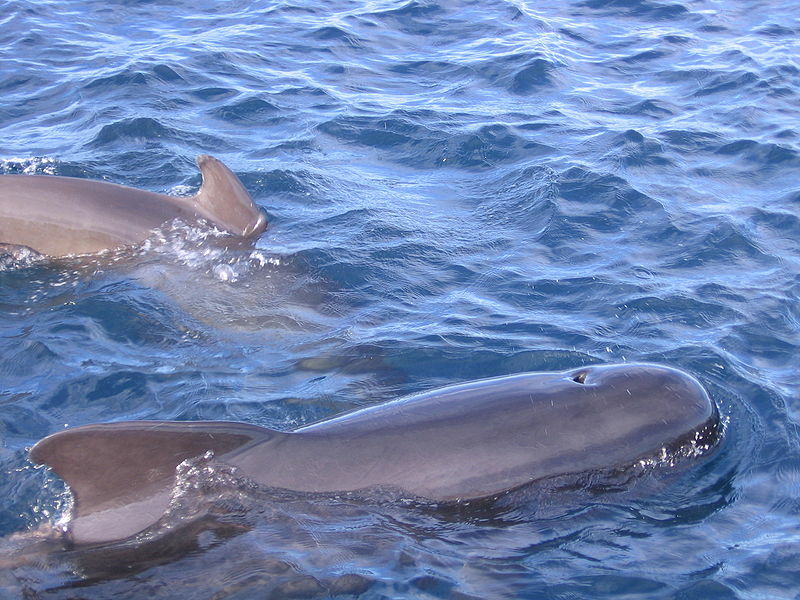 Apparently, such things are more common among pilot whales. Others think that they may have ended up stranded due to the rapidly receding tide in the area caused by seasonal monsoons. Still others are putting forth more nefarious causes, such as chemical poisoning or other human-related problems with their sonar navigational abilities. And though the whales didn’t make it out alive, at least something good came of it. The local islanders, in keeping with their traditions, have began cutting up the whales and collecting their meat and oils to be used by their villages. This is at least better than leaving the corpses to rot, despite the tragedy of the event. Unfortunately, if pollution of some sort does prove to have played a part in the whale deaths, the villagers may be at risk. Scientists are still looking to study the bodies and find out the whole truth of the matter.